Who Should Christians Support in Egypt? When push comes to shove, as it has in Egypt, who should American Christians support? The recent military move to oust an elected president was almost universally backed by Egyptian Coptic Christians, which make up roughly ten percent of the population. But the move, called by many a military coup, also violates our profound democratic sensibilities. With forty-two dead today at the hands of the army – which claims it was attacked first by armed terrorists – basic issues of humanity are also in play. President Muhammad Morsi, of the Muslim Brotherhood, was removed from office on July 3 following massive protests against his rule. The proximity to America’s Independence Day only heightens the tension of this question, demanding an introspection we are often loathe to consider. Before we sit in judgment on Egypt, was our own revolution contrary to God’s teaching? But does not the Bible also demand a commitment to justice and solidarity with the rights of the oppressed? Certainly, and Egyptian Christians would be quick to assert the necessity of the putsch, not just for their own cause, but for millions of Egyptian Muslims beside. Perhaps the most important question is this: No matter their fears, would aggrieved non-Islamists have done better to work within the system, no matter how flawed? This last question is of political strategy, and Egypt’s Christians have clearly answered ‘no’. What now of American Christians? It is important to note that American democracy – though also flawed for much of our history – has peacefully rotated power for over two centuries. Egypt is still trying to find its feet after a revolution. The American constitution, after all, followed thirteen years after independence. Egypt currently is a political mess; within chaos, minorities are vulnerable. Christians have been used by all sides as a talking point. Liberals highlight their difficulties, the Muslim Brotherhood pays lip service to their equality, Islamist allies scapegoat them in conspiracies, and the old regime propaganda – ever present – erects the extremist boogeyman to maintain order. Within this picture, American Christians have little to identify with. Our two options mirror our dual identity: As Americans, esteem the democracy; as Christians, condemn the persecution. Unfortunately, neither option correctly describes Egypt. Either one is a false choice. The American Christian responsibility is not to take sides, nor to assert abstract principles. It is to find out what is happening, and support the light. 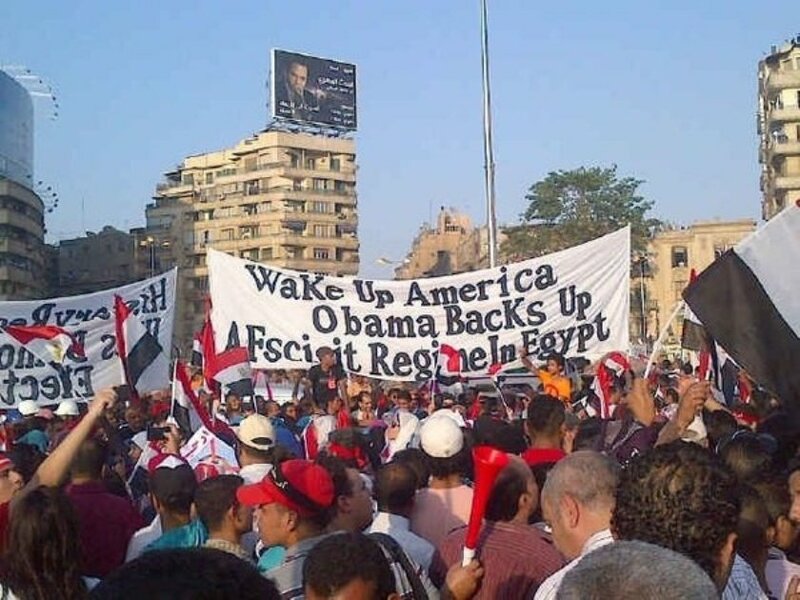 Whether through influence in Washington, or through influence in prayer, American Christian hope must be that Egypt will rise from the dead. Does this latest episode help or hinder? Make Egypt visible, and then judge accordingly. Please click here to read the whole article at Relevant Magazine.